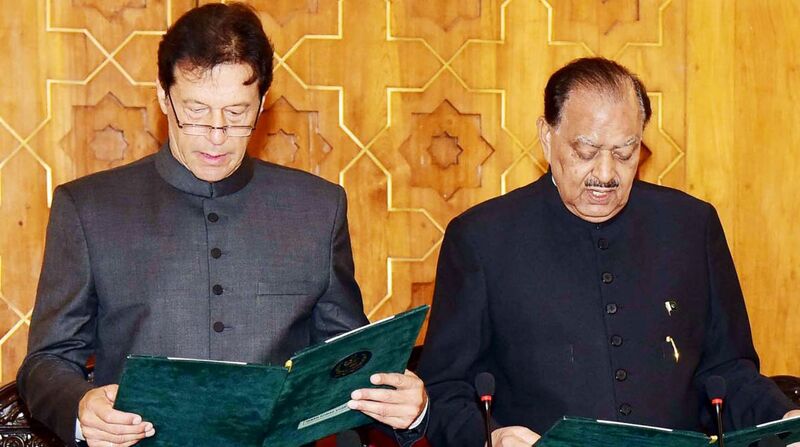 The cabinet of newly-appointed Pakistan Prime Minister Imran Khan has imposed a ban on first-class air travel by the President, Chief Justice, Senate Chairman and the National Assembly speaker. The move comes after the ruling Pakistan Tehreek-i-Insaf (PTI) government on Friday revised working hours in government institutions, abolished discretionary funds of the Prime Minister, federal ministers and members of the National Assembly, reports Dawn news. The decisions were taken during a second meeting of the federal cabinet in a week presided over by Khan. While the span of working hours will remain same — eight hours — the new office timing will be 9 a.m. to 5 p.m. The previous timing was 8 a.m. to 4 p.m. The meeting also decided to conduct audit of all mega transport projects carried out in Punjab and Khyber Pakhtunkhwa provinces during the last government. Another important decision taken by the cabinet was formation of task forces for upgrading shanty settlements across the country and launching tree plantation in main cities. The meeting decided to abolish the Ministry of Capital Adminis­tration and Development Division (CADD) and merge its departments into other ministries. Former Prime Minister Nawaz Sharif had spent 51 billion Pakistani rupees ($417,825,150) government funds only in one year by exercising his “discretionary powers”, Dawn news reported. Similarly, President Mamnoon Hussain also distributed public money of 90 million Pakistani rupees on his own discretion.